The United Nations has declared that water and sanitation are human rights. Yet many Indigenous communities are deprived of their human right to water. Communities lack adequate sanitation, sewage treatment and drinking water services. And many communities face health and economic problems because of industrial exploitation. CUPE works in solidarity with aboriginal organizations, environmental groups and workers to defend human rights, defend the UN Declaration on the Rights of Indigenous Peoples, strengthen the union movement, and resist privatization and cutbacks. Two-thirds of all First Nation communities in Canada have been under at least one drinking water advisory at some time in the last decade. According to Health Canada there are currently 131 Drinking Water Advisories in effect in 87 First Nation communities across Canada, excluding British Columbia. With the Assembly of First Nations and the Water Solidarity Network, CUPE will hold the federal government accountable to its promise of ending boil water advisories in Indigenous communities within five years. The North American Free Trade Agreement and other trade agreements protect the rights of multinational corporations to export and use Canadian water for profit. Multinational water companies such as Suez have contracts in Canada and around the world, privatizing water services and delivery. CUPE has built awareness with indigenous communities around the dangers of using public private partnerships to build or restore access to water services in their communities. CUPE stands together with Indigenous peoples in protecting the land and water. Our members have worked with communities over land redevelopment and resource extraction such as clear cutting, logging and mining which effect water in places like Grassy Narrows, Barriere Lake, Site C, Shoal Lake and Chaudiere Falls. CUPE locals work in alliance with indigenous communities. The City of Nanaimo CUPE Local 401 water crews, for example, have developed an innovative mentoring program with the Snuneymuxw First Nation. 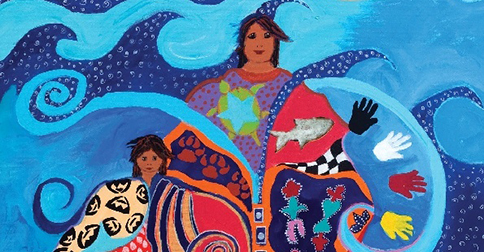 The Truth and Reconciliation Commission’s (TRC) final recommendations are a call to action. CUPE asserts that the government must fully implement all of the recommendations, as well as the UN Declaration on the Rights of Indigenous Peoples. The TRC recommends meaningful consultation with indigenous peoples on major resource projects such as the Energy East and Trans Mountain pipelines that would cross indigenous territories, and the realization of the human right to water and sanitation. The TRC website lists ways in which non-indigenous people can become involved in the reconciliation movement. If you are looking to build a water watch committee or organize around water issues in your community, invite indigenous activists. Find out who your CUPE Aboriginal Council representative is at cupe.ca/national-aboriginal-council. You can also get in touch with and invite people from your local friendship centre through the National Association of Native Friendship centres at nafc.ca/en. Keep in informed on CUPE’s work on indigenous rights and any upcoming campaigns, projects and events at cupe.ca/aboriginal. Our drinking water and wastewater systems belong to us all. Communities, not for-profit corporations, must control water resources and services. Keeping public control of our water services and water resources is the only way to protect the earth and our rights.